In December – January we rented a campervan from Nick & Rob van Bay or Islands Campervans. As far as we are concerned, great! Even before our trip we have had several contacts with the mail, about some questions and also to take a look at our route. 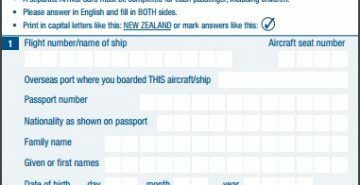 We went to New Zealand for the first time, so we had some practical questions. Nick & Rob were always very involved, reacted quickly and gave good tips and advice. Very nice! Nick & Rob were always available during the trip. We did not need it, but it did give a nice feeling. We have chosen for camper Seeker, because we wanted that extra bit. And that is very nice! What a top-camper! Fully equipped, clean, safe, spacious and very comfortable. The fixed bed, the freezer, the large fridge, the oven, but also the luxurious chairs. Everything has been thought of. Ideal!! We liked to drive and while driving you do not really notice the size of the motorhome. You are a bit wider and you have to take into account left driving, but driving us 100%. Even parking was no problem. We found the tourism radio ideal! On the basis of GPS you get interruptions on the radio and you are told something about the region where you are. Nick & Rob, thanks for the excellent service! Next time we will gladly come back to you again! Nick & Rob, thanks for the excellent service!